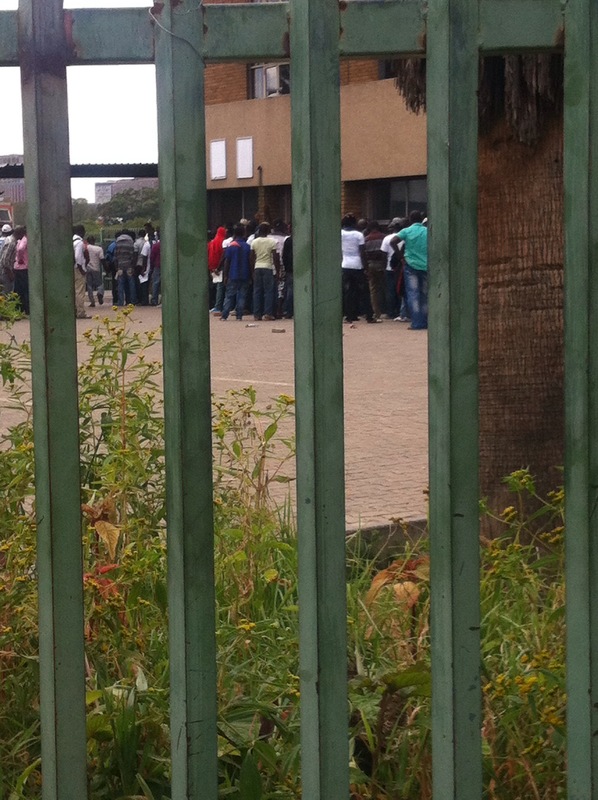 The South African Home Affairs Department, Asylum office in Marabastad, Pretoria was thrown into chaos today as a Somalian Asylum seeker was mobbed to death by a security officer attached to the office. Every Thursday as early as 1am, hundreds of immigrants gather at this home affairs to seek for asylum and most of them get beaten or whipped by the alleged xenophobic officers. Commenting on today’s incident, a Nigerian asylum seeker who spoke anonymously said he “wish this will tell the world what foreigners go through at Marabastad, Pretoria.”. This entry was posted in Uncategorized and tagged Africa, asylum, marabastad, Nigeria, Pretoria, Somalia, South Africa, xenophobia. 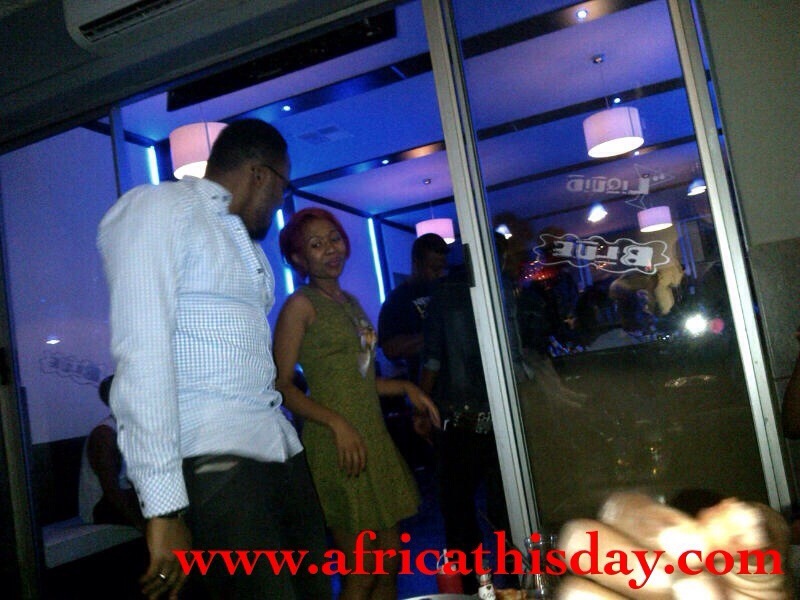 South African TV celebrity, Dineo Ranaka was caught on our camera dancing to P Square’s personally with a Waitress and a Nigerian presenter in Melview last night. The smart Chinese looking celebrity is said to be in love with a Nigerian media consultant. A recent story has been flying around the web about two gays who were mobbed to death in the presence of a Nigerian Police. Our online researchers have made diligent efforts to uncover that this story is an old news which took place last year and is not a post-anti-gay incident. It happened sometime last year and recently went viral online through some gay activist. Already United States have threatened to sanction Nigeria in protest of her anti gay law. 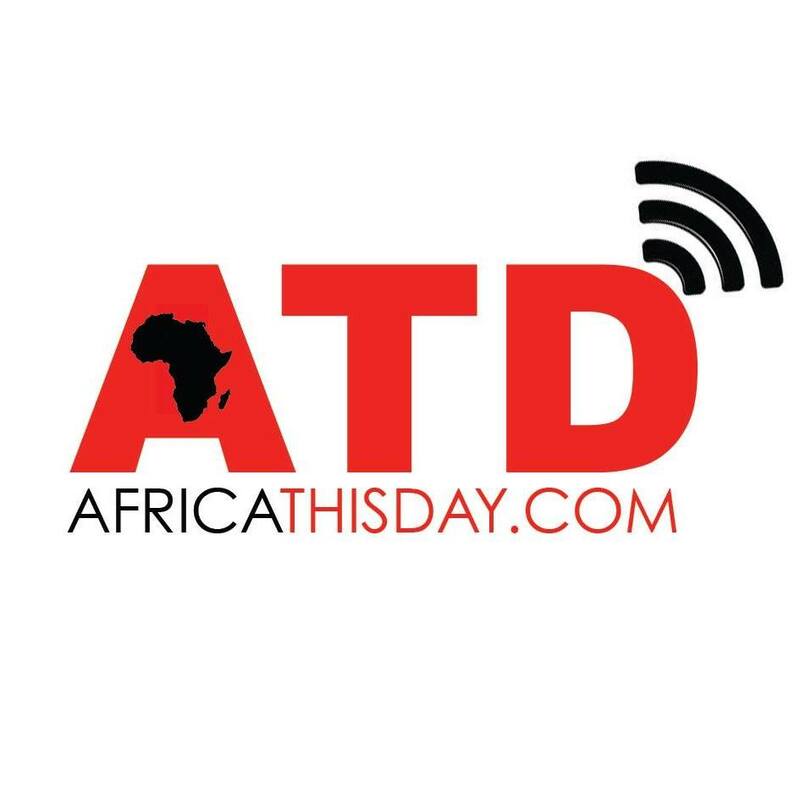 Africa Thisday believes 14 years is too much to punish somebody for been gay. 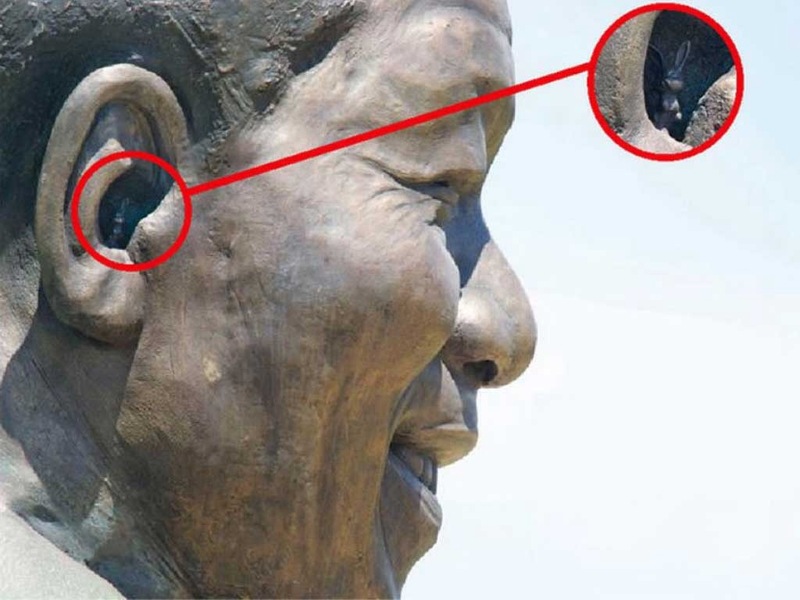 A rabbit has been hidden in right ear of the newly erected Nelson Mandela statue at the Union Buildings in Pretoria, South Africa. The sculptors of the nine metre bronze-plated statue, Andre Prinsloo and Ruhan Janse van Vuuren, secretly added the rabbit to the work. The duo have said the rabbit was a “small trademark” of their work after the department of arts and culture did not allow them to engrave their signatures on bottom of the trouser leg of the statue. They said it also represented the tight deadline they were working under as rabbit in Afrikaans “haas” also means haste. Recall that the struggle against the apartheid was fought against the Afrikaans in power. Africa Thisday is just wondering if this is not the Afrikaner’s way of making Mandela’s struggle a joke after the legend’s death. Reports say that they have tendered an apology for their expensive joke. This entry was posted in Uncategorized and tagged Nelson Mandela, Pretoria, rabbit, Racism, South Africa, statue. 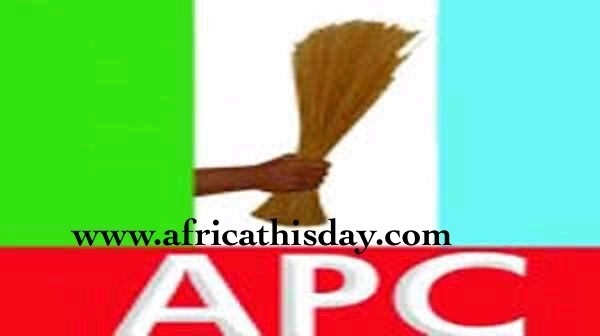 Unverified reports reaching us says Nigeria’s leading opposition party, APC threatens to cancel N480 Million Contract with Channel’s TV for airing an interview with a serving senator from PDP. More on this coming shortly. Canada has denied cancelling President Goodluck Jonathan’s visit to the country. The Canadian Counselor in Abuja, Ms. Alexandra Mackenzie had said that there was no scheduled visit of Jonathan to the country. Mackenzie had told a Nigerian national paper that, “Canada and Nigeria enjoy shared interest in expanding opportunities for economic, social and security cooperation between our two countries. This entry was posted in Uncategorized and tagged Africa, canada, jonathan, Nigeria. PDP new Chairman, Alhaji Adamu Mu’azu rejected by majority. Nigeria’s ruling but crumbling political party, People’s Democratic Party had on Monday, 20th January 2014 announced the ‘selection’ of EFCC wanted Bauch ex governor, Alhaji Adamu Mu’azu.Majority have taken to the social media expressing their disappointment at the ‘selection’ of Mr. Mu’azu as the Party’s chairman despite the N19.8Billion case dangling on his neck. Mu’azu would definitely use the position to cement the $20B theft and it will return NO CASE! Tukur’s son subsidy theft is a forgotten issue now. Muazu was indicted by the Justice Niyi Tobi commission as one of the sponsors of 2001 religious crisis in Jos Plateau state. While most people believe that the reign of President Goodluck Jonathan is friendly with corruption, others say that the president is only been democratic. Alhaji Adamu Mu’azu replaced Mr. Tukur who was allegedly forced to resign. This entry was posted in Uncategorized and tagged Nigeria, PDP.